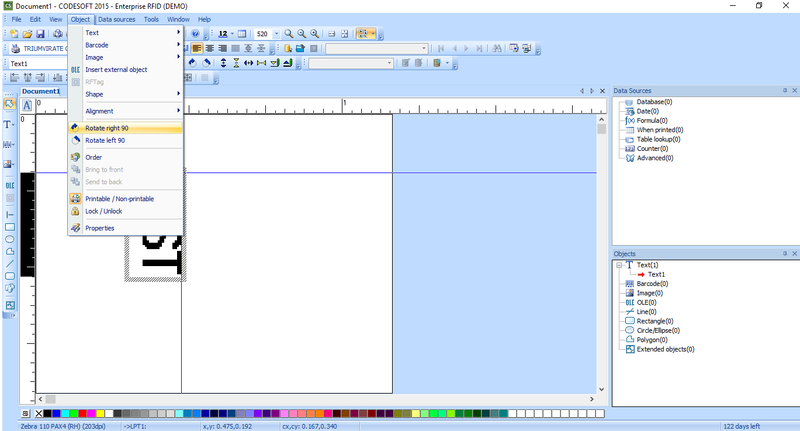 The orientation of the label depends on the label design and settings in the printer driver. The view of this orientation can be controlled in the label designer. It is easy to get confused between the two. This article explains the cause and possible solutions to the CODESOFT problem that causes labels to print rotated (typically 90, 180, and 270 degrees) from the screen view. 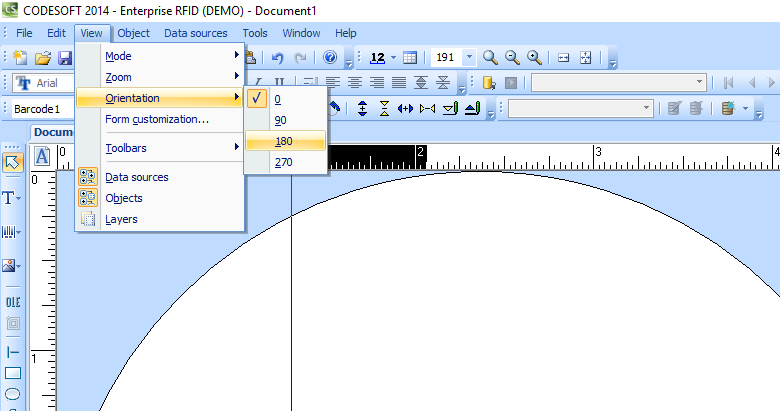 CODESOFT allows the user to rotate the view of the screen. By default, the screen is usually set for portrait printing (i.e. width of the label on the screen is the width of the label as it exists the printer). To make it easier to edit some labels, this view can be rotated. However, this only changes the view of the label NOT how it will print. 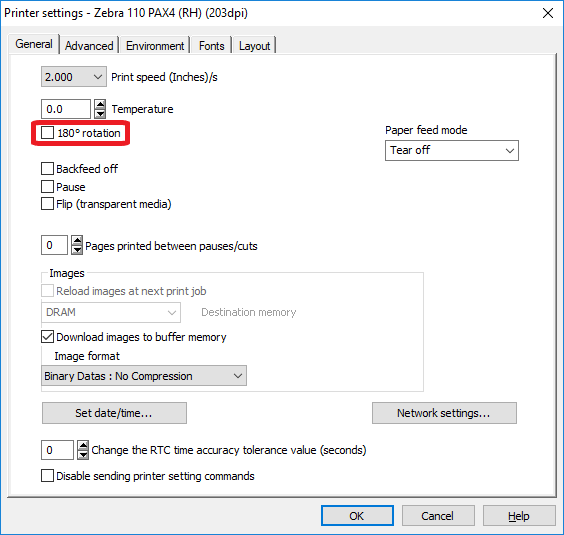 Changing how the label prints requires rotating the label Object(s) or changing a setting in the printer driver. Most printer drivers allow 180 degree rotation and some allow 90 degree rotations of the label. Make any necessary change to the label objects so they appear correctly on the screen.